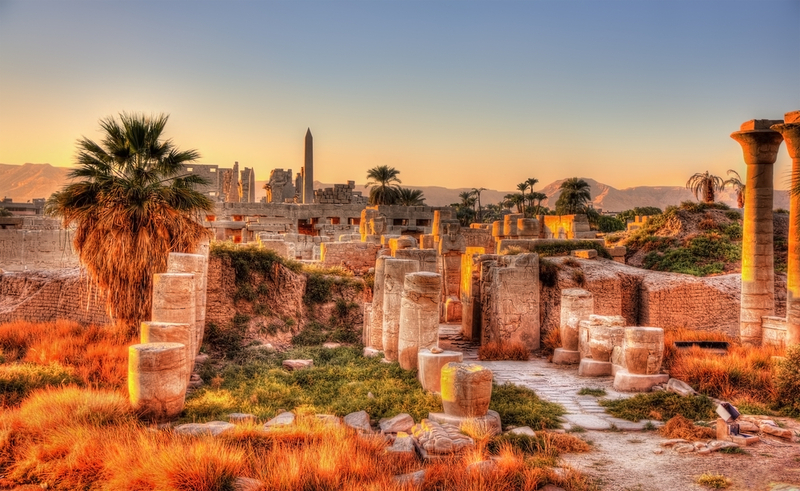 Join us on our hosted tour of Egypt with the opportunity of a Jordan extension. Our tour will take in the ancient sights and incredible history of this amazing country. Step back in time and be prepared to be amazed at the Royal tombs and ancient temples as we cruise the legendary Nule. We will work with our tour director and fully qualified Egyptologist to showcase the history of Egypt. 7 night Nile cruise aboard MS Medea featuring air-conditioned cabins with private facilities. 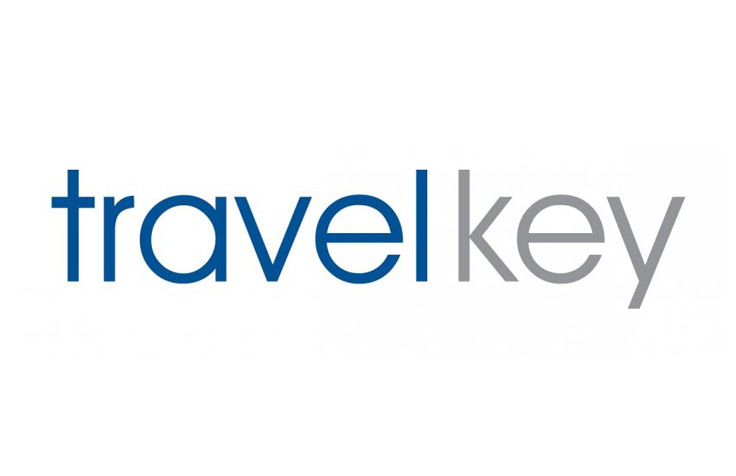 Highly-skilled Travel Director and certified Egyptologist will ensure your journey is seamless, serving as your expert guide, consummate organiser, and friend overseas. Enjoy the comfort of a luxury, air-conditioned coach with onboard washroom. Alternate vehicles without onboard washroom may be used on occasion. Please note that gratuities are not included for the Travel Director, Nile Cruise staff, Drivers and Airport Escorts. 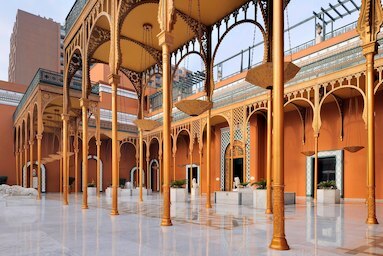 Complimentary transfers from/to Cairo Airport are available on arrival and departure days. Cairo: With your Egyptologist, gaze upon Tutankhamun’s treasures at the Egyptian Musuem, gaze upon the most recognisable symbols of ancient Egypt: the full-faced funeral mask, gold coffin, gilded throne and precious jewellery – all treasures of Tutankhamun. Aswan: See Aswan’s High Dam and ponder why the Unfinished Obelisk has been left in mid-creation for thousands of years. West Bank: Explore with an Egyptologist the Valley of the Kings which is home to the magnificent tombs of Egypt’s Pharaohs. 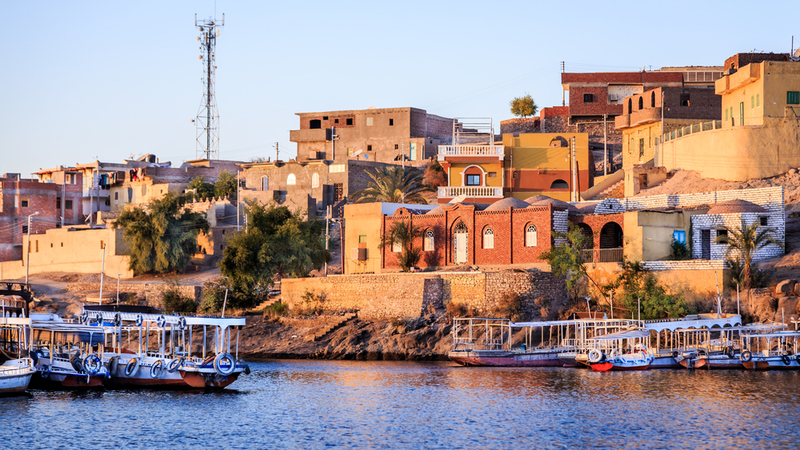 Aswan: Follow the footsteps of Winston Churchill and Agatha Christie as you enjoy high tea in true colonial English-style at Aswan’s famous Old Cataract Hotel, as the sun begins to set. Dining Summary: 11 Breakfasts (BB), 7 Lunches (L), 1 Afternoon Tea (AT) and 7 Dinners (D), all with bottled water plus tea or coffee. Festive Highlight Dinner: 24 Dec New Year’s Eve dinner in Cairo which will replace an included meal. 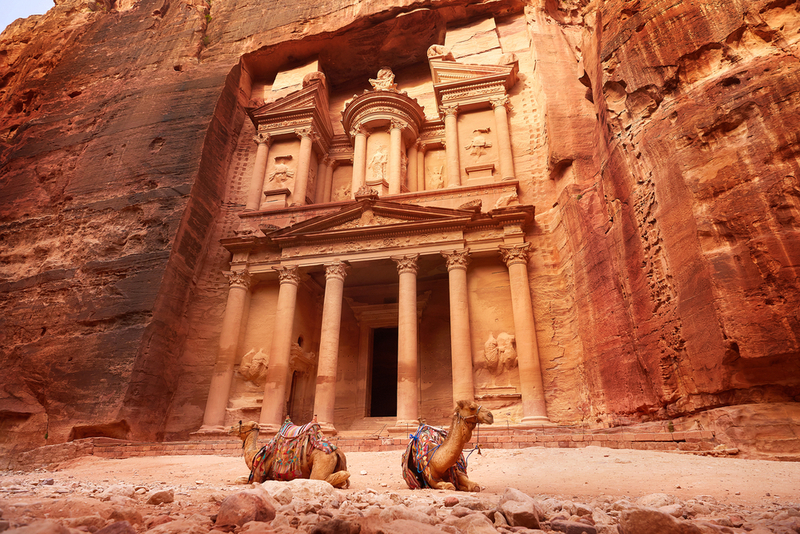 The Hashemite Kingdom of Jordan is a landscape that has changed little in 2,000 years. On arrival at Amman airport, you are transferred to your hotel to relax and settle in. Later, join your Travel Director for a welcome drink and Dinner. Start your day with an Amman city tour, visiting the Citadel Hill, huge Roman Amphitheatre and Archaeological Museum. Depart for Iraq Al Amir, for a visit to the Women’s Association to see the fantastic work they are doing providing training and work opportunities for women in the region. The Association is supported by Insight through The Treadright Foundation. Then, the journey to Jerash reveals the most beautifully preserved example of a Greco-Roman city still in existence. Enter through Hadrian’s Arch, to explore the grand ruins of the Temples of Artemis and Zeus, where you can listen to the Whispering Column. Overlook the vast Oval Plaza and Cardo Maximus, the key Roman road. This day is devoted to the beautiful ‘rose-red city, half as old as time’. You enter this lost city through a narrow gorge, the Siq, with walls that rise up to 200 metres. Emerge from the path to see the magnificent Treasury, carved out of solid rock and standing over 40 metres high. Wind your way through the canyon to explore the Roman Amphitheatre, which once seated 3,000 spectators, and the ancient tombs. Tonight, dine with locals at the Ammarin Camp. Head to Wadi Rum – and the spectacular hospitality of the Bedouin on the backdrop of beautiful desert. Enjoy beautiful vistas as you make your way on a jeep safari deep into the heart of Wadi Rum’s majestic desert. Dine with locals under the stars and stay in elegant simplicity in a desert camp for the night. If you wish, start the day with sunrise yoga at the Bedouin camp. After breakfast, follow the King’s Highway to visit Shobak, an authentic 12th century crusader fortress, perched on the side of a rocky mountain, standing guard over a barren and desolate land. Admire the towers and Arabic calligraphy on the external walls before discovering the original Crusader chapel, palace complex, and even a set of secret passages! Later, return to the Jordanian capital where you are at leisure. Your journey concludes with a transfer to the airport. 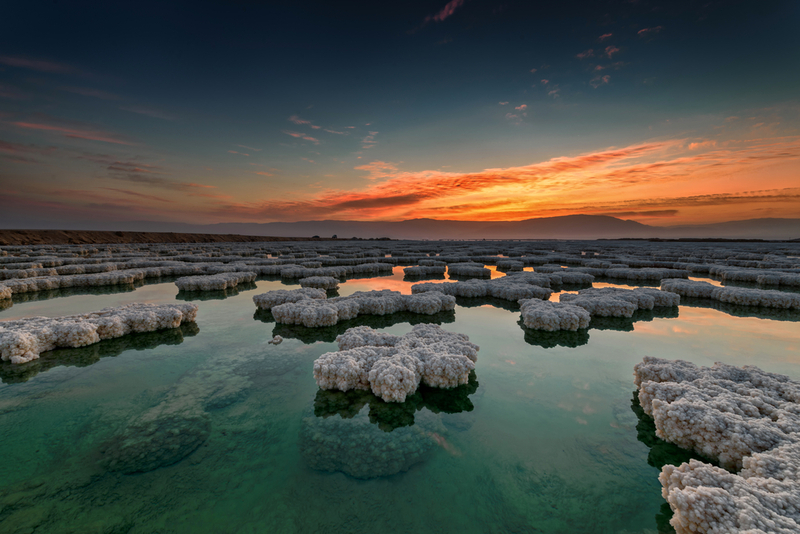 Transfer to the Dead Sea for its warm, soothing mineral-rich waters. Pamper yourself at the resort which offers a wide range of treatments to soothe the body and mind. Hotel: Dead Sea Marriott Resort & Spa. Enjoy the entire day at your leisure. Lying more than 400 metres below sea level, this is Earth’s lowest point on dry land. Its famous hypersaline water makes floating easy. The surrounding desert offers many oases and historic sites to explore. prior to departure.Additional terms and conditions may be applicable to group bookings and will be advised. Fully escorted group based on minimum 15 guests. Other T&C Apply. Speak to your consultant. Meet your Tour Director at 08:00 for a detailed briefing. Then ascend to the Citadel, for breathtaking views over the city and a visit to the Alabaster Mosque. Continue to Tahrir Square, the focal point of the 2011 Egyptian Revolution, and the Egyptian Museum. Among the many exhibits are the fabulous artefacts recovered from the tomb of King Tutankhamun. In the evening, get to know your Travel Director, a professionally trained Egyptologist, and fellow guests over a Welcome Drink at the hotel. Later, drive to the pyramids to witness the magical Sound & Light Show – an unforgettable introduction to the world of Ancient Egypt. Sightseeing includes a visit to Aswan’s High Dam and Granite Quarries to see the enormous Unfinished Obelisk. Travel by motorboat to the Temple of Isis, rising from the waters of the Nile on the Island of Philae. The rest of the day is free to relax and enjoy the facilities on your cruise boat. After breakfast, drive to Memphis, the famous capital of the ancient world. 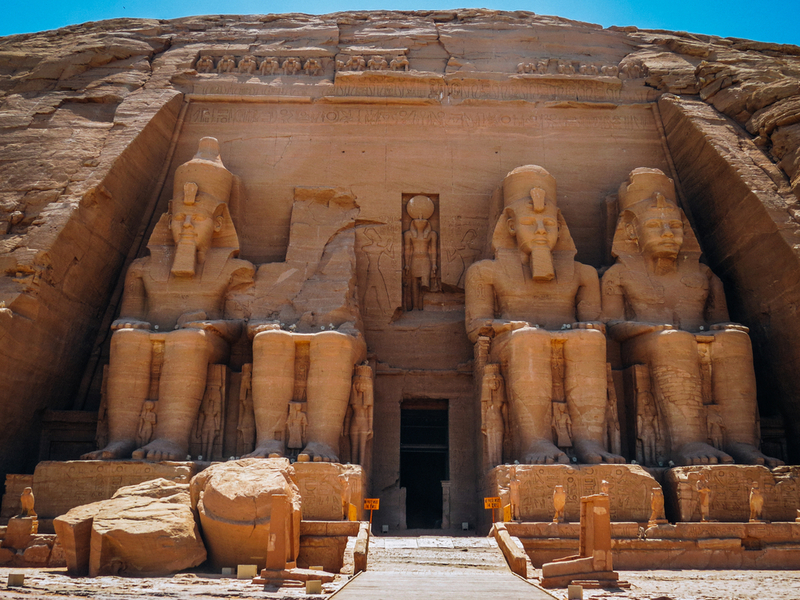 See the colossal statue of Ramses II and the Great Alabaster Sphinx. Continue to Sakkara, to see the Step Pyramid of King Zoser, the oldest pyramid in the world, dating back to 2,700 BC. 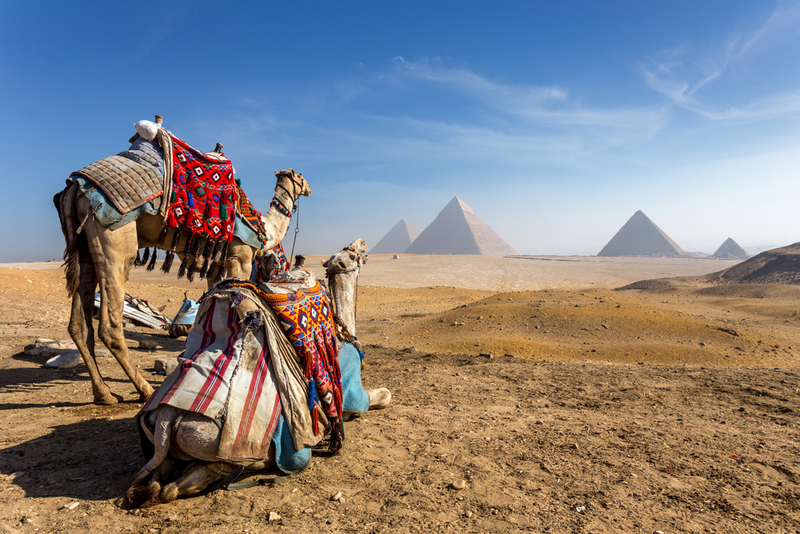 In the afternoon, it’s on to Giza with your Egyptologist to explore the magnificent pyramids and come face-to-face with the enigmatic Sphinx. During your visit, venture inside one of these ancient wonders to see the chambers where the pharaohs were sent to meet their Gods in the afterlife.